Is math a dirty word in your home? Are you looking for ways to make math more fun in your home? 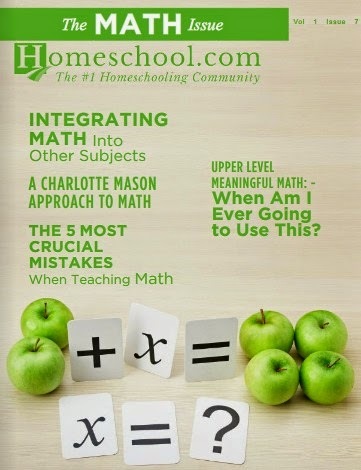 Then you must check out the newest Homeschool.com magazine edition. 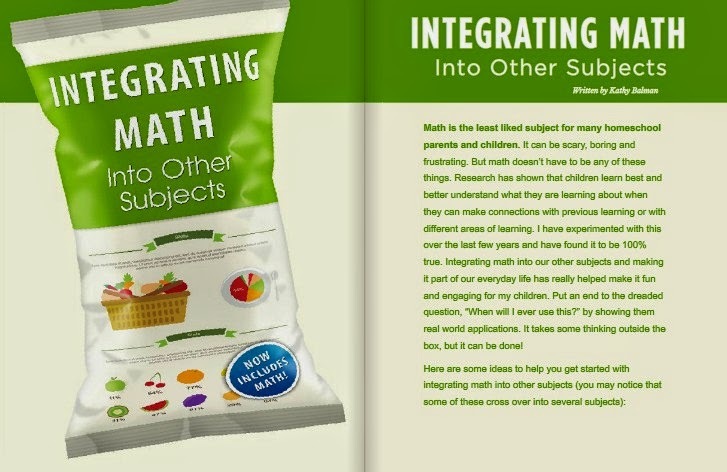 My article on Integrating Math Into Other Subjects is on page 10-11, 12-13, 16-17 and 18. I am really excited about this article and hope you will take some time to read it, along with all the other fabulous articles. Make sure you download the FREE Mathematician Journal Page I created. Thanks so much! This list is great! !